I’m guilty to be a sculptor. It because before the remarkable sculpture finished, our vital environment was destroyed. However, I love sculpture and sculpting. 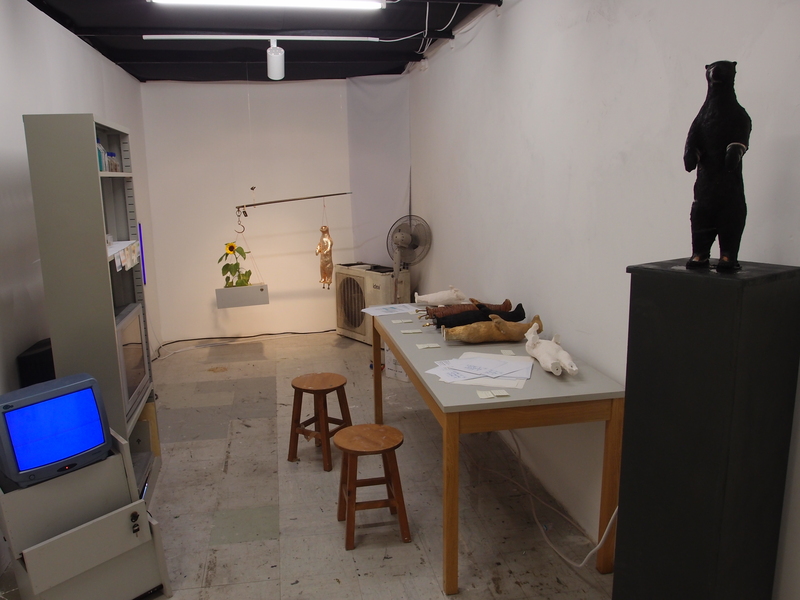 How can the sculpting and environment be coexisted? To respond the dilemma about the pollution and art product in exhibition “isn’t’s own isn’t”, I tried to research interdisciplinary with phytology to address the pollution by sculpture making. Sun flower is one of good bio-extraction plants which is able to adsorb a variety of heavy metal in the soil. However, it is not very efficient so as to be a hypothesis. If there is only one sun flower for this task, it may need to take over few ten years to settle the print by sculpture. 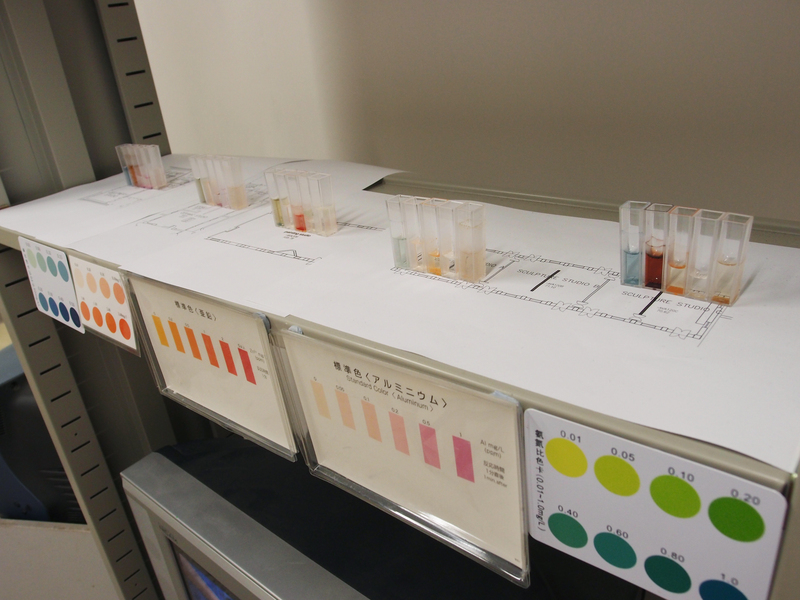 Through water sentiment tank, the print of sculpture can be reviewed by colorimetric which indicated how much toxic chemical and heavy metal left in the water because of sculpture making. 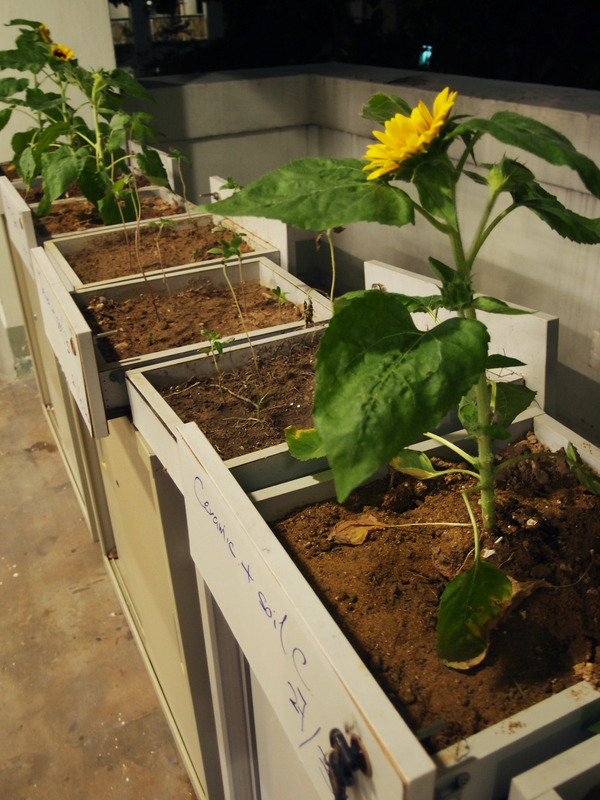 Different sample of soil and sun flowers were cultivated outside with different polluted water of different studios.